We are a collective of individuals with uniquely different design backgrounds and passions, collaborating together, across locations, to create environments which bring lasting memories and enrich people’s lives. 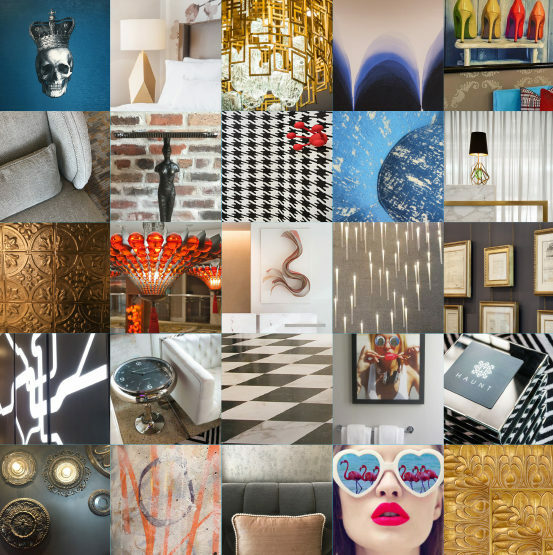 At ForrestPerkins we create inspired interior design solutions for Luxury Hospitality and Residential destinations. We approach each design as an opportunity to tell a unique story and choreograph a personalized guest experience through attention to design, detail, and service, inspired by a sense of place and individuality. From inspiration to opening, from arrival to departure, we take you on a journey and craft curated experiences that resonate on an emotional level. With offices in Dallas, Dubai, Chicago, San Francisco, New York and Washington, D.C., our culture centers on collaboration, both within and across offices. ForrestPerkins is a distinct design studio of Perkins Eastman, a global architecture firm working out of 15 interdisciplinary offices around the world. The firm believes that design has a direct, positive impact on people’s lives. Perkins Eastman designs places and spaces that put people at the heart by employing best practices, sustainability, and a thorough understanding of clients’ missions and operations. The firm’s diverse teams partner with clients globally to deliver next-generation projects that are uniquely suited to people who will live, work, play, learn, age, and heal within the environments we plan and design. Let us help you create your moment. FORRESTPERKINS’ strength is our award-winning interior design. From highly-creative hospitality interiors to luxurious multifamily projects, personal residences and distinctive corporate offices, each project fulfills the needs and desires of our clients and reflects a unique sense of place. For us, design is a way of life, we seek and find inspiration in everything from travel, nature, art and literature to technology. We synthesize what we have absorbed and transform that inspiration into tangible environments that resonate with our clients and their guests. FORRESTPERKINS’ technical abilities and the processes we have developed collaborating with the many craftspeople, contractors, manufacturers and artists who implement our vision are crucial to creating inspired and successful projects. FORRESTPERKINS often works with developers, operators and hotel companies to provide the kind of in-depth analysis, intense focus and comprehensive design strategy required to bring a brand to life and infuse a hotel or residential project with brand attributes that differentiate our clients’ properties from competitors. Hilton Hotels & Resorts, for example, engaged Deborah Lloyd Forrest to define the Waldorf Astoria brand attributes and to create a compelling brand design narrative to guide developers, architects and designers to capture the essence of the brand in a new Waldorf hotel. That successful project led to successive opportunities to create brand narratives for two other Hilton brands. Bree Dahl was part of the team that developed the Iridium spa concept for St. Regis, while director of design for Starwood’s luxury brands.